New 70+lbs New generation Rocna – Vulcan anchor. New 1500 Lofrans Tigress windlass with foot switches. 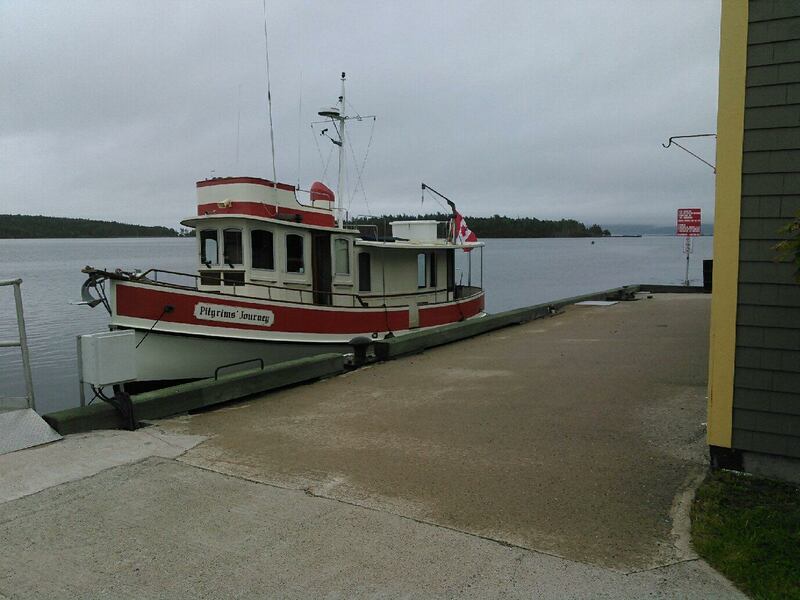 New Black Rub Rail and new Black boat deck trim. Black anchor chafe guard (made from Rub Rail) affixed to stem post of vessel. Newly designed water-tight chain locker (with small overboard drain) fibre-glassed in ceiling of focsle. Fibreglass/plywood battery shelves on both port & strb of forward foscle internal which accommodate dedicated batteries for Windlass & Bow Thruster. 2 new Genius dedicated chargers for above mentioned batteries. 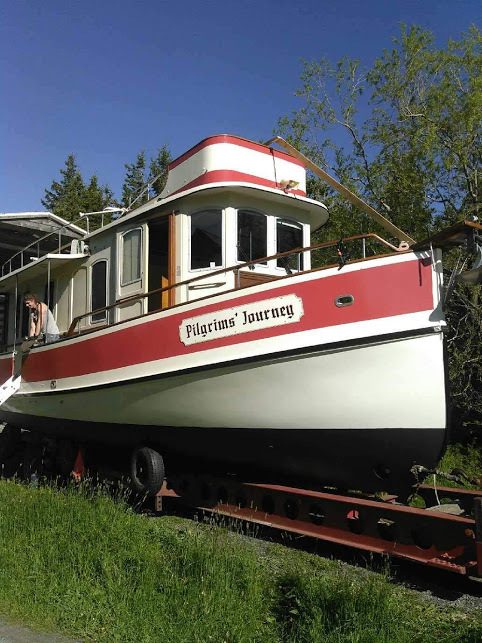 New sea water wash-down pump, and new faucet on forward deck. This is also plumbed through a small manifold so that it can be immediately flushed with fresh water after use. This will extend the pump life significantly. New fresh water wash-down faucet also plumbed to forward deck. All new Raymarine electronics (glass helm) at the pilothouse helm. This includes Radar, Plotter, Auto-Pilot, Wind, Temp, Speed, Depth. Addioional stand alone Raymarine depth sounder. New Kobelt single lever engine controls with Felsted cables on Pilothouse and Fly-Bridge helms. 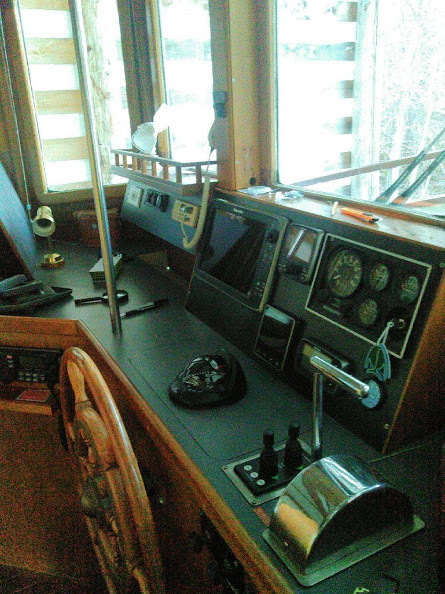 Teak (port-side) extension to pilothouse dashboard to accommodate AC & 12vdc outlets. Refurbished main electrical panel with New rotary 4 pole selector switch. New Engine & Genny high heat alarms. New Sealand gravity-drop toilet, fresh water washdown. New tub in head. The shower has been plumbed to eliminate the hand-held unit. New Gobius tank monitor on new 70Gal poly sewer tank. New House Bank Batteries. (6– 6v GC2 batteries by Duracell) in series parallel configuration. The battery bank/starting bank can be fully isolated by a switch. New 120vac 16+ Gal hot water heater with engine heat exchanger and manifold installed. 3 new fuel tanks (100Gal, 70Gal, Day-tank @ 25gal)with all new transfer and polish plumbing. The day tank and the 70 Gal tanks are aluminum, while the 100 gal tank is SS. The day-tank has a sight glass while the other 2 can be straight “dipped” from the side decks. New Dual Racor fuel filters with live switch-over capability. This primarily will drink from the day tank but the capability exists to easily change about to other tanks if need be due to a batch of bad fuel coming aboard. New 225amp Electromaxx alternator with external regulator on main engine. New “Yacht Thruster” Stern Thruster with controls at upper and lower helms. 3 New Poly domestic Water tanks @ 100Gal each. These have a sight glass are plumbed through a manifold to allow water management / selection as desired. Single Racor fuel polish / fuel transfer system plumbed to all 3 fuel tanks. The fuel flow is metered and also passes through a Magnetic fuel conditioner. New 500 BTU diesel furnace plumbed to both the salon and the forward stateroom.